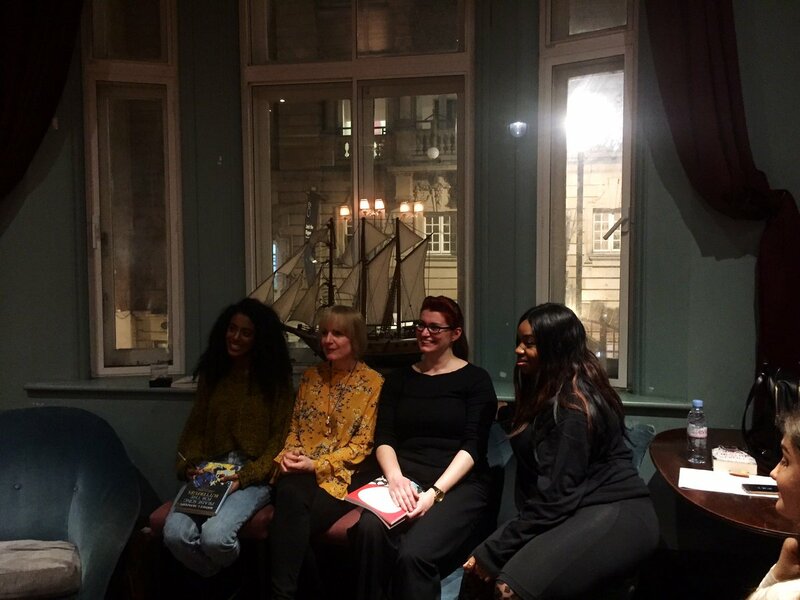 Consultants Helen and Shalini went to the second Girls can do Anything panel in a series of free events put on as part of London’s Big Read 2019, hosted by author and publisher Abiola Bello. The ladies on the panel shared their backgrounds and routes into publishing, and offered anecdotes to show how getting your voice heard can be life changing. Siobhan Curham, Author of Don’t Stop Thinking about Tomorrow, rose up from a working-class background, dropped out of university, as she didn’t feel like she belonged amongst the higher classes, and is now not only an award winning author, but also offers a consultancy service to other authors, and does some ghost writing on the side too. Kate Manning began her career as a bookseller in her local Waterstones and networked her way up to becoming Children's Sales, Marketing and Publicity Director for Bonnier Books UK & Children's Director of the Stoke Newington Literary Festival – picking up the necessary skills along the way. Last but not least, Mags Abraha who is now Editorial Manager of Jacaranda Books, began her career as a columnist for various newspapers in different departments before settling on trade publishing. The main theme running through the panel was that there is no direct route to get to where you want to be. These ladies all came from humble beginnings not knowing about the publishing industry or where they’d fit at all, but all found their voices through taking advice and help from those around them to build their networks. Being self-published, Siobhan took a lot of negativity in regards to her chosen route and was pushed to speak out in defence at London Book Fair on a panel, where she received overwhelming support from the audience. Mags found her voice whilst working at Bloomsbury, taking advice and guidance from an author she was working with and now never shies away from any conversations. It’s all about understanding the reasons why you aren’t being taken notice of at the start of your career, rather than taking it so personally. This way, you can learn how to approach situations in a more tactful way later on as you climb the ladder. Kate and Abiola pointed out that, now they’re the boss, they HAVE to be listened to. The panel agreed that there is a lot of talk going on in the industry surrounding issues such as the lack of diversity in publishing and how London-centric the industry can be. A big way to be heard through the noise is to actively follow up on what’s being said and put things into action. Being bold, building your network and asking questions along the way can instil the confidence you need to be heard and get things moving. Read widely and often to make sure you know the industry and what’s selling. It’s also a great idea to get to know other departments in a publishing house to learn how the process works collaboratively. Other bits of advice the panel gave included some necessary reminders: don’t apologise before you say something – it sets you up to be ignored. Chill out, don’t worry, everything will work itself out. Knowing yourself, knowing what you want to say, and why you want to say it will help you communicate your message more effectively and will instil confidence in yourself. Those who attended this event to hear these inspiring women talk frankly about how they got to where they now are, knowing nothing of the industry when they began found it useful to know there is hope and they will be heard. There will be more free events in this series, so keep your eyes peeled, and we highly recommend getting involved.